The holiday season is here – and right now is the best time to apply for a travel credit card. According to a study conducted by the National Retail Federation¹, Americans are expected to spend more on gifts than last year. 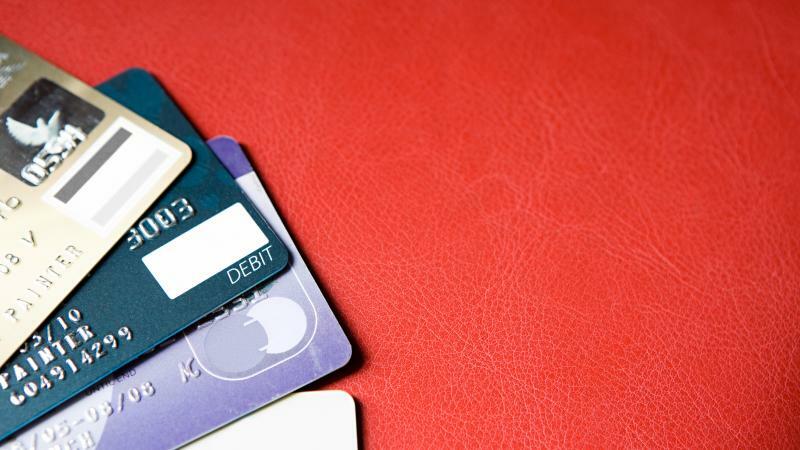 And if you’re planning to using credit for your holiday shopping, you should use a card that’ll reward you for purchases. It’s the season of giving and receiving – and right now, credit cards are offering some stellar travel rewards perks. Here are the best travel reward cards for you this holiday season. The Platinum Card by American Express² is one of the best travel rewards cards available on the market. Right now, new cardholders will earn 60,000 bonus reward points after spending $5,000 in the first three months (with holiday shopping, this shouldn’t be hard to reach). All cardholders will earn five times the airfare points when they book their flight with the airline or Amex Travel, or book a hotel through Amex Travel. And this card will have you traveling in style – you’ll be able to take advantage of luxurious perks including access to the American Express Centurion Lounges and a membership to the Delta Sky Club. This is the “it” card when it come to travel rewards. If you want a travel rewards credit card, Chase Sapphire Preferred³ is worth considering because it comes with a huge array of travel perks. First-time cardholders will receive 50,000 bonus point after spending $4,000 in the first three months (a total of approximately $625 towards travel expenses). And earning points with this card is so easy – you’ll earn two points per every dollar spent on all travel purchases and dining, and you’ll earn one point on all other purchases. On top of everything there’s no annual fee for the first year. Travelers listen up – if you’re planning on spending money this holiday season then why not transfer your spending into travel rewards? The Capital One Venture Card was just named the ‘best travel card’ for 2018 by CNBC⁴. First time cardholders will enjoy 50,000 bonus miles after spending $3,000 within the first three months. Start earning points today – cardholders will earn two times the miles on everyday purchases. If that doesn’t get your attention, you’ll also earn 10 times the miles when you book at any eligible hotel partner. And there’s no fee for the first year, so booking that trip may be closer than you think. Are you looking for an easy way to earn travel points this holiday season? Well, the Hilton Honors Ascend card⁵ from American Express may be the card for you. Right now, new cardholders will earn 150,000 Hilton Honors points after spending $4,000 in the first three months. You’ll earn three points per dollar on everyday purchases and earn 14 extra points per dollar spent on Hilton purchases; cardholders will also earn seven points on every flight booked directly with eligible airlines or on amextravel.com. Travelers with this card will also receive complimentary Hilton Diamond status, which offers some great perks, including suite upgrades, bonus points, and executive floor lounge access. This card does have an annual fee of $450, but it’s one impressive card. The Bank of American Premium Rewards Card⁶ wants to make collecting travel points easy – earn an unlimited two points for every dollar spent on travel and dining; and 1.5 points for every dollar spent on all other purchases. Plus, new cardholders will receive 50,000 bonus points (a $500 value) after spending $3,000 in the first 90 days of opening the account. Better yet, get up to $200 in travel statement credit rewards for qualifying purchases such as baggage fees, seat upgrades, in-flight services, and airline lounge fees. This card also covers you for travel insurance to help with any unexpected fees such as trip delays, cancellations, and lost luggage to name a fee. These are just some of the awesome travel credit cards out there – and with all the spending the holiday season brings, applying for a travel rewards credit card might be worth your while. On every holiday purchase, you could be earning your way to free flights or deeply discounted vacations. To find the best travel credit card that suits your specific needs, it’s important to do your own research and search online for the latest credit card offers. It’s always a good idea to spend time comparing offers – the right travel credit card for you is out there, you just need to look! Interested in finding the latest travel credit card offers? Start a search today.